A pot of fresh greens is so quick and easy to make! It’s the perfect side dish to a cool summer soup, a quinoa salad, or some Southern black-eyed peas. Greens are always ideal when your priority is easy cooking with a dash of healthy and delicious. 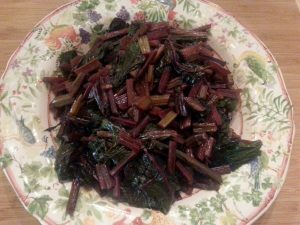 I was inspired to make this dish when one of my husband’s patients brought us a large bag of beet greens right out of her garden, but you can also use a bunch of kale or chard, though kale will take an extra 10 minutes to cook. 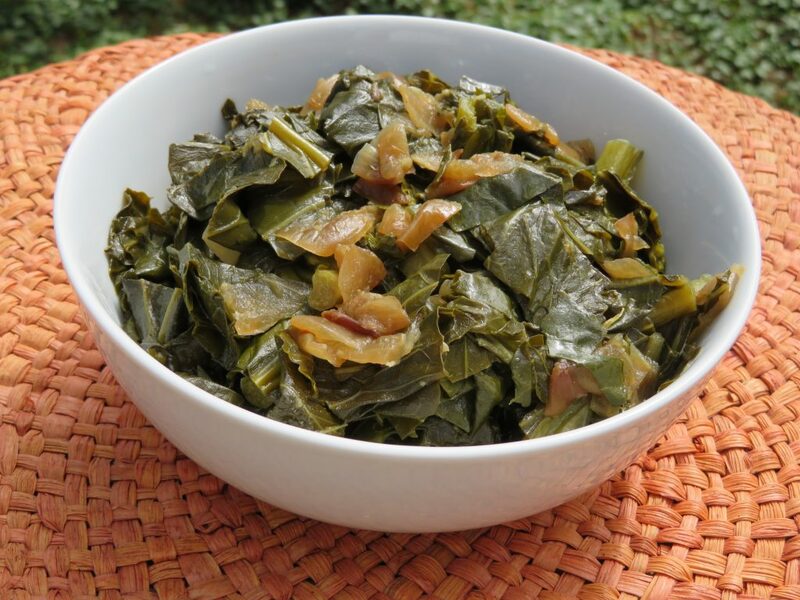 I suggest 6 to 10 large leaves per person, at least, since they will reduce to a small serving after cooking. Baby, it’s cold outside for Southerners — and it’s the perfect time for cooking something hot and hearty like a flavorful Italian bean soup with greens and sun-dried tomatoes. Twenty-eight degrees and freezing rain pelted the Raleigh/Durham area and much of the East Coast Friday, and it’s snowing again today as I write. No complaints here, though. Grateful for our good fortune to still have power, I have taken pleasure in creating an updated version of a familiar bean soup.